Battle orcs and pirates in this fantasy hero game, as you defend against waves of enemies charging your base! This idle game lets you create a team of heroes – knight, ranger, mage and more – to defend against an endless swarm of vicious foes! Cast spells, earn gold, upgrade heroes and complete daily missions as you save the day. A fantasy game of heroes and monsters, Idle Hero Defense makes you the commander. Like tower defense games, your heroes will fight off evil foes, gaining gold, leveling up, and unlocking new heroes as you play. 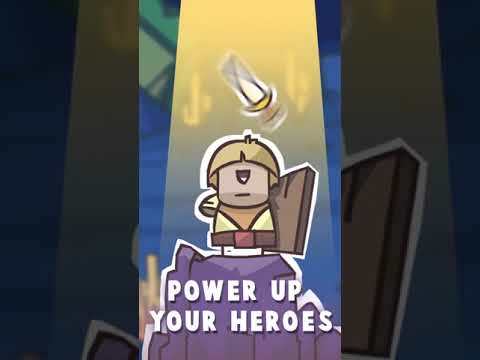 As a tap game, you recruit, train, and command your heroes from the touchscreen. Incremental game mechanics mean your heroes will grow as they fight, surviving against ever-worsening waves of monsters and fighting until they win.